Oklahoma outfielder Erin Miller has been chosen as one of 10 finalists for the 2016 Senior CLASS Award in college softball. An acronym for “Celebrating Loyalty and Achievement for Staying in School,” the Senior CLASS Award focuses on the total student-athlete and encourages students to use their platform in athletics to make a positive impact as leaders in their communities. The finalists were chosen by national media from the list of 30 candidates announced earlier this month. Nationwide fan voting begins immediately to help select the winner, and fans are encouraged to submit votes online at the Senior CLASS Award website through May 9. Fan votes will be combined with those of the media and Division I head coaches to determine the winners. The Senior CLASS Award recipient for softball will be announced during the 2016 NCAA Women’s College World Series in Oklahoma City, June 2-8. Miller has started all 29 games this season for the No. 13/14 Sooners with 17 coming as the designated player, seven in left field and four in right field. She leads the Big 12 in doubles (11) and triples (3) and also leads the Sooners in slugging percentage (.745), hits (38), RBI (30) and doubles (11). She's batting .404 this year with five home runs, 21 runs scored, five stolen bases and a .467 on-base percentage. 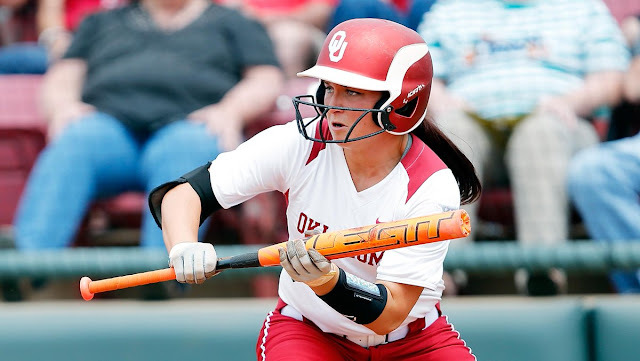 Named to the Top 50 Watch List for the 2016 USA Softball Collegiate Player of the Year Award, Miller is majoring in visual communications and was named to the 2015 Big 12 All-Academic First Team. She designed the team's 2016 poster.